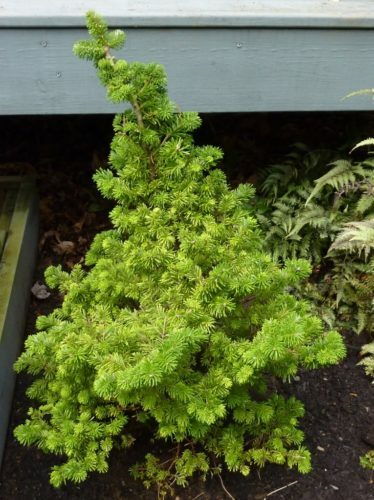 Abies veitchii 'Kramer' is slow-growing dwarf selection of Veitch's fir with uncharacteristically dark needles and nice miniature symmetrical growth. Expected annual growth is less than 2 inches (5 cm), producing a shrubby dwarf, 15 inches (38 cm) tall by 12 inches (30 cm) wide after 10 years. Kramer Nursery of Oldenburg, Germany, found the original 'Kramer' witch's broom mutation and first released it to the nursery trade. John Proudfoot of Scotland first offered it in the U.K. in 2004.